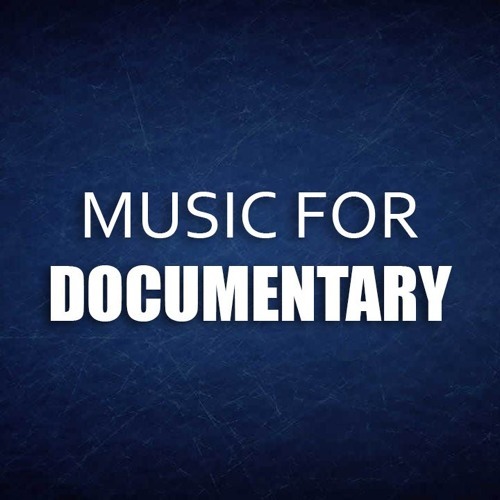 Documentary instrumental background music for videos, films, documentaries, presentations, technologies, industrials, advertising and commercials etc. More Background Music Free Download: - Music For Videos - http://bit.ly/2GPzLK8 - Music For Films - http://bit.ly/2Effys1 - Music For Documentaries - http://bit.ly/2eFWOed - Music For Presentations - http://bit.ly/2BdTzRT - Music For Media - http://bit.ly/2H3t0kY - CINEMATIC MUSIC - http://bit.ly/2vBNwaA - CORPORATE MUSIC - http://bit.ly/2BZ4oM6 - EPIC MUSIC - http://bit.ly/2FNbn8n - TRAILER MUSIC - http://bit.ly/2qnp5bw - MOTIVATIONAL MUSIC - http://bit.ly/2vkmELV - INSPIRATIONAL MUSIC - http://bit.ly/2iBWfU0 - POSITIVE MUSIC - http://bit.ly/2PK1flU - UPLIFTING MUSIC - http://bit.ly/2Pfvznr - UPBEAT MUSIC - http://bit.ly/2PKh6ky - HAPPY MUSIC - http://bit.ly/2JHVWj0 - SAD MUSIC - http://bit.ly/2MVCIvO - EMOTIONAL MUSIC - http://bit.ly/2CNT5WO - ROMANTIC MUSIC - http://bit.ly/2N1JT5u - CALM MUSIC - http://bit.ly/2Nwe0z0 - AMBIENT MUSIC - http://bit.ly/2wELzXr - WEDDING MUSIC - http://bit.ly/2wVs93p - CHRISTMAS MUSIC - http://bit.ly/2wLfdhr - FASHION MUSIC - http://bit.ly/2JagZvg - PIANO MUSIC - http://bit.ly/2iAy5Jw - GUITAR Music - http://bit.ly/2HiWRJt - UKULELE MUSIC - http://bit.ly/2xpEGh1 - ORCHESTRAL MUSIC - http://bit.ly/2vSnEaE -------------- ► SUBSCRIBE FOR MORE: ● SoundCloud: http://bit.ly/2u5Iz5k ● YouTube: http://bit.ly/2jJUr93 ● Facebook: http://bit.ly/2jGYUJF ● Twitter: http://bit.ly/2HYpuNf ● Instagram: http://bit.ly/2IqiIz9 ► My Website: http://bit.ly/2rqSKSm -------------- ► Stream, Buy and Download my music HERE: ● iTunes/Apple: http://apple.co/2hbFVbL ● Google Play: http://bit.ly/2k0dTQZ ● Amazon: http://amzn.to/2w190go ● Deezer: http://bit.ly/2hx915G ● Spotify: http://spoti.fi/2uIeg73 --------------- ► My Website: https://www.ashamaluevmusic.com --------------- ► What you can find here: - Background Music - Instrumental Music, - Background Music For Videos, - Instrumental Music For Videos, - Background Music For Media, - Background Music For Films, - Background Music For Documentary, - Background Music For Presentations, - Background Music For YouTube, - Background Music For Vimeo, - Background Music For Instagram, - Background Music For Commercials, - Documentary Background Music, - Documentary Music, --------------- Stay tuned as more tracks will be released in the coming weeks and months. Do not forget: Like, Share and Subscribe! Thanks For Listening!